It makes sense there are plenty of hotels around Central World considering it is the largest shopping mall in Bangkok and one of the largest in the world. 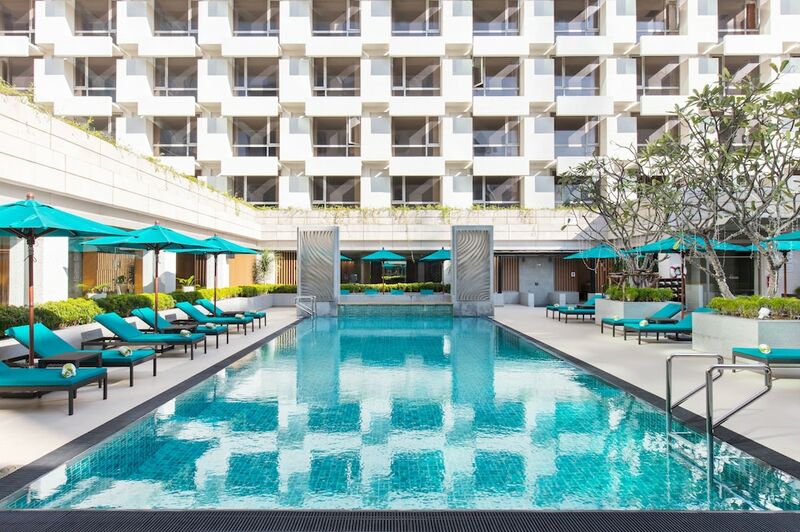 Right on top of Central World is one of Bangkok’s largest five-star hotels, and sandwiched between Siam, Chitlom and Pratunam on three sides, there is a huge range of hotels to stay in near Central World. If you are looking at one shopping mall in Bangkok in which to find everything for the whole family then CentralWorld must be the one. With two separate department stores, high street brands from across the world and a row upon row of excellent restaurants, it’s possible to spend the whole day in Central World and still not see everything. Following a recent expansion there is also a nightlife section connected to the shopping mall. Called Groove, it is packed with bars and restaurants so if you are staying in a Central World hotel there is really something to do all day and night.